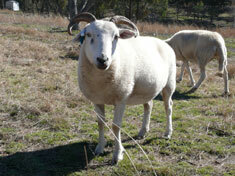 The Wiltshire is the most abundant and popular of the so-called "heritage" sheep breeds in Australia, and the one that can most accurately lay claim to that title. 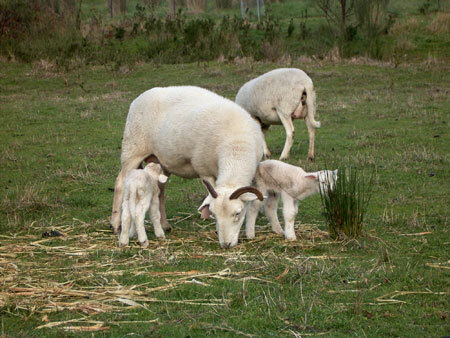 Most people realise that many current sheep breeds in Australia are "composite breeds", created relatively recently by combining two or more other breeds. Poll Dorsets were the original Australian creation (from Ryeland and Dorset Horn) but they have been followed by many others - White Suffolks, Dorset Downs, South Suffolks, Aussie Downs, Dorpers (created in Africa from cross between Dorset Horn and Persian) etc. But it is not generally realised that most of the other British Breeds have an antiquity extending back no earlier than the nineteenth century, when there was an earlier wave of selective breeding and cross-breeding to create the popular sheep of Britain in the nineteenth and twentieth centuries, some of which were then exported to Australia. prior to this, in the seventeenth century and earlier, sheep breeds in Britain had a very local distribution and origin and had long histories, but most of these pure breeds lost popularity in the face of the waves of cross breeds, and remain today only as curiosities at British Sheep shows, maintained by a handful of enthusiasts. The oldest sheep breed in Australia (and much more popular than in its native country) is the Wiltshire Horn, maintained unchanged from very early times. In fact it is often suggested that the Wiltshire Horn may be descended from the breed brought to Britain by the Romans as the original British meat sheep. Impossible to prove this, although there is some evidence supporting it, and the breed is certainly similar to the kinds of breeds that live around the Mediterranean today and would have formed the basis for the Roman sheep industry. Wiltshires with a history extending back to Roman times - it is certainly possible, and at the least the breed has characteristics very similar to the breed used by the Romans. But at a minimum, the breed has a long and distinguished history, a heritage, extending from 'time immemorial' before 1785 - a strong vigorous breed adapted to tough conditions, covering big distances and looking after themselves. They are characteristics that are still evident today. In addition the primitive character of a short woolly coat that is shed in Spring makes them the original easy care breed. 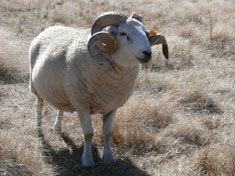 A breed that remains distinct from all other British breeds - a deliberate policy of the Australian Wiltshire Horn Sheepbreeders Association who uniquely among sheep breed associations refuses to allow "appendix flocks" with grading up of cross breed sheep. As a result they are certainly the most "heritage" of all the Australian "heritage breeds", retaining their genetic composition in pure form,Ã‚Â while having characteristics that make them thoroughly modern in today's conditions - lean well muscled carcases, high fertility, large frames. We are coming to a time I think, as climate change increases, where Wiltshires are going to be one of the few breeds that are going to be a viable proposition for free range lamb production on a very hot and dry continent (one of their features being that they not only don't put very much energy into wool growing, another the adjustment of the wool-shedding process to the climate of the area and feed available). And a breed that could return some of that once despised "primitiveness" to some of the newer softer breeds to improve their hardiness, strength, and reproductive ability.